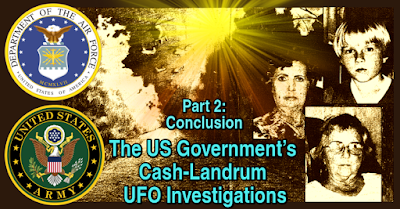 In part one, we saw how the Cash-Landrum case had been investigated by the US government in 1981 by officials from Bergstrom Air Force Base in Texas, in 1982 in by the Department of the Army Inspector General, and in 1983 by the nation’s defense team responding to the UFO-related lawsuit. In the conclusion, we’ll look at the subsequent secret investigation and how it relates to other agencies that may be covertly studying UFOs today. John B. Alexander has had a long involvement in the UFO and paranormal, and participated in the DAIG investigation mentioned earlier. Dr. Alexander’s publisher notes his lengthy interest and research into exotic studies: “life after death, mind over matter, UFOs, remote viewing, telepathic communications with animals, and more…” Chiefly known for his work in non-lethal weapons research, Alexander retired from the US Army in 1988 as a colonel, and along the way earned his Ph.D. in Thanatology at Walden University in 1980. Dr. Alexander developed a network of friends and associates with similar interests, many of whom were also in the military, doing contract work for the government, the Intelligence Community, or professionals in private industry. One of those friends was Dr. Paul E. Tyler (1930 - 2013), a Captain in the US Navy, and medical consultant on the government’s remote viewing program. This circle of associates was valuable when Alexander put together the Advanced Theoretical Physics Working Group. The primary purpose of the group was to determine if there was a hidden UFO government agency, but their findings were negative. The team also studied a few UFOs cases, and the Cash Landrum incident was one of particular interest. "Hal (Puthoff) and I had a lot to talk about… There was a meeting on frontier subjects in Washington recently. When Hal arrived he discovered the topic was UFOs, and the overall project was structured in multiple layers, like an onion. The meeting was classified above top secret, under a codeword. Fifteen attendees reviewed cases like Kirtland AFB, Cash-Landrum and Tehran. They included Howell McConnell and John Tyler. Kit (Green) had been invited but couldn't attend. Two aspects of the meeting were ironic, Hal said. First, attendees were there because they ran programs that were impacted by unidentified signals but they were not necessarily interested in the UFO phenomenon itself. Second irony: they came to the conclusion there must be a secret UFO project, somewhere else!" ATP members included Ed Dames, Jack Houck, Bob Wood, Hal Puthoff and John Alexander. "It has become known that the key meetings took place under DoE supervision on May 20-25, 1985 in the secure facility of the BDM Corporation in McLean, Virginia. The group called itself the 'Advanced Theoretical Physics Conference' or ATP. Alleged participants were Samuel Finch, Oke Shannon and John Kink of Los Alamos National Laboratory; Bill Wilkinson from CIA; Howell McConnell from NSA (whom I had met in October 1972); Hal Puthoff and Jack Houck; Ed Speakman of INSCOM (Army Intelligence); Bill Souder and Bob Wood of McDonnell Douglas; Jake Stewart of the Undersecretary of Defense for Research and Engineering; Bert Stubblebine of BDM; Ron Blackburn, Milt Janzen and Don Keuble of Lockheed; Ralph Freeman, Gary Bright, radiologist Paul Tyler, Ed Dames and Lt. Col. Mike Neery. Ron Pandolfi of CIA also claims to have been involved." "(AATIP) was just another in a series… of inadequate efforts to investigate one of the most perplexing issues to ever confront humanity… from 1984 through 1988, long before Senator Harry Reid was able to earmark funding for the DIA project, I ran a similar, albeit unfunded, effort... the name we employed for this project was Advanced Theoretical Physics (ATP)." "One disturbing case ATP looked into became known as Cash-Landrum, named for the victims, two women and a boy, who were inexplicably exposed to high levels of radiation. The source was an unidentified craft that appeared to be in trouble above a desolate country road just north of Houston. 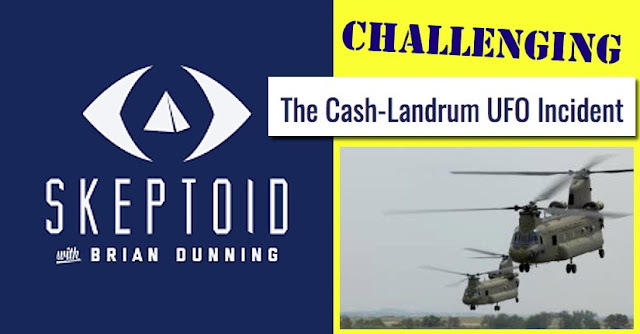 We explored the Cash-Landrum case in depth because of lawsuits initiated against the U.S. Government under the assumption that the incident was caused by an experimental craft of ours that had caused the serious injuries. The case was later dismissed." We have no record of the extent of the ATP’s study of the Cash-Landrum case, but we can get a hint of it by reading the comments on it by Dr. Alexander and his colleague, Dr. Paul Tyler. Dr. Alexander’s ATP dissolved in 1988 after finding that no agency wanted to fund the project as an official government project. However, that didn’t exactly mean the end, as Alexander and many of the members remained interested in the UFO topic and moved on to other things. 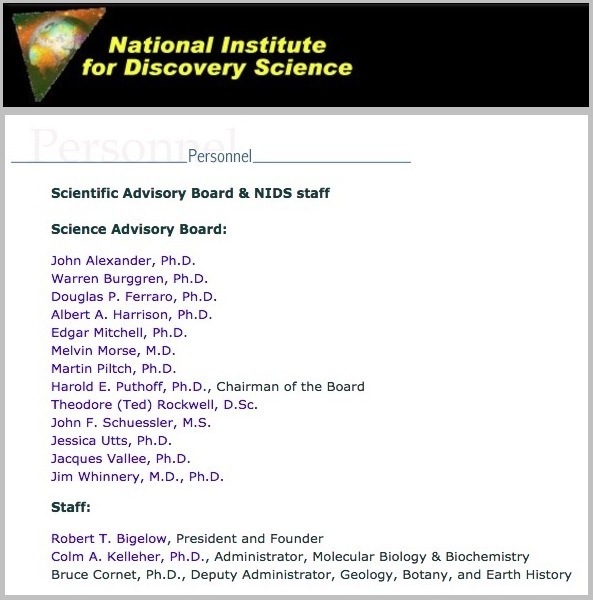 Dr. Alexander and Dr. Hal Puthoff went to become a player in Robert Bigelow’s National Institute for Discovery Science (NIDS). In 2004, NIDS was closed, but later replaced by Bigelow Aerospace Advanced Space Studies (BAASS), with Puthoff and some of the team remaining. In 2007, AATIP contracted BAASS, with Puthoff directing the scientific studies. In 2018 Puthoff and Colm Kelleher of BAASS went on to join Tom DeLonge’s To The Stars Academy (TTSA). As some of you know, the CIA released over 92,000 pages of material relating to "Star Gate" (and various other official remote viewing projects in the USA, such as "Gondola wish", "Grill flame", "Center Lane" and "Sun Streak") in around 2004… it should of course be recognised that most of the documents in the Stargate archive do not relate to UFOs. 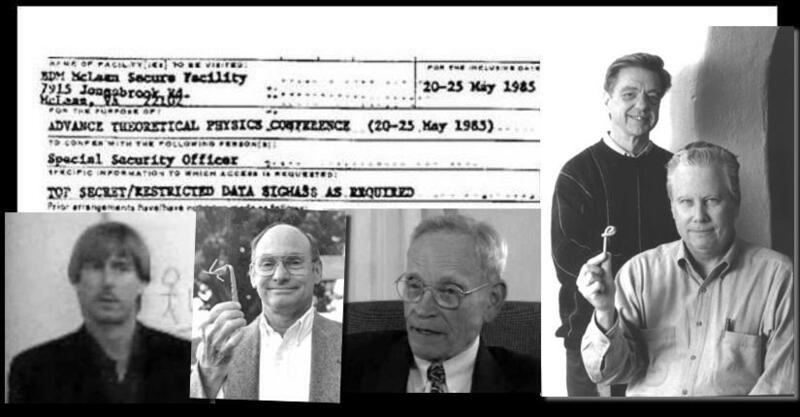 However, a few did, and one of the remote viewing documents recorded a session on 26 January 1988 looking into the “"Cash-Landrum Object,” where the remote viewer was “GP,” Gabrielle Pettingell, and the interviewer was “ED,” Ed Dames, who was part of Alexander’s ATP. The “Secret Onion” nickname used by Jacques Vallee for ATP referred to the metaphor “peeling the onion,” which means getting a deeper understanding of something by examining it layer by layer. The irony is that the only thing behind the layers is more onion. John Alexander’s ATP group found no evidence that there was still a secret UFO investigation. His colleague Dr. Paul Tyler revealed in his 1993 Albuquerque, NM, lecture that the ATP searched, but, "In every agency, I ran into people interested in UFOs. But it wasn't their job and there was no money to look into it, so tidbits got filed into personal file cabinets!" The government was not interested in fielding reports from civilians, just in sightings that could be military or national security matters. They shut down Blue Book, and what seems to have happened since is that any UFO incidents have been handled by the agency involved, from NORAD to the CIA. Whatever the US government may be doing in regards to UFOs, they are not interested in duplicating the public relations disaster problem of the Air Force’s Project Blue Book. 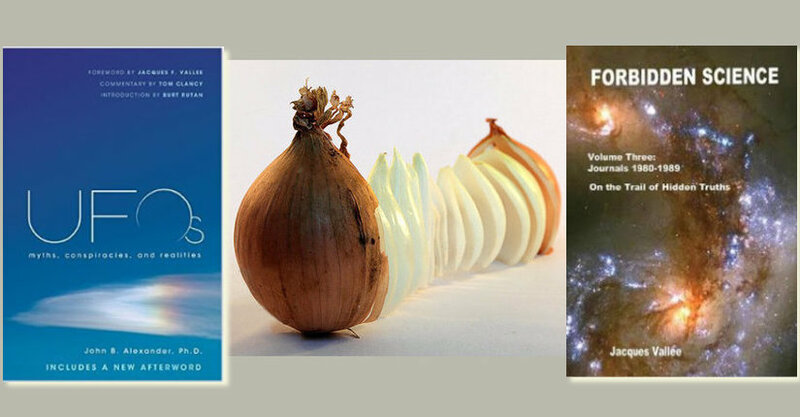 For further reading on the ATP UFO study, see the collection of information at Unidentified Aerial Phenomena - scientific research by Keith Basterfield, where he's interlaced data from sources such as John Alexander’s UFOs: Myths, Conspiracies, and Realities and Jacques Vallee’s Forbidden Science Volume III, Jacques Vallee and the 'Secret Onion'. The 2017 disclosure of the Pentagon’s Advanced Aerospace Threat Identification Program (AATIP) renewed interest in the US government’s post-Project Blue Book investigations of UFOs. The Cash-Landrum incident of December 29, 1980, occurred about ten years after the Air Force study of UFOs came to an official close. Documents prove that there was an official interest in the Cash-Landrum case, so it provides a perfect subject to use in a search for evidence of further UFO investigations by government agencies. There were several known official inquiries into the Cash-Landrum case, from the local level to the federal government. Some are well-known, while there are others that are virtually unheard of. We’ll look at them all, and provide sources for further information. 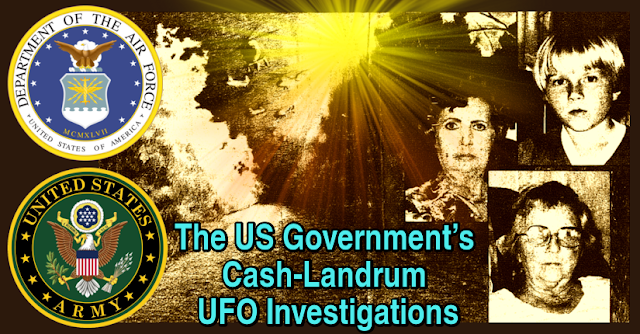 The Cash-Landrum case was not reported promptly, but when Vickie Landrum did notify the local law a month later, but they did not investigate; Chief Waring referred her to NUFORC, the National UFO Reporting Center. After Vickie called NUFORC, the case was passed on to UFO groups, which eventually led to its investigation almost three months after the incident. For those needing a recap of the Cash-Landrum encounter, see Vickie Landrum's Phone Call to Report a UFO Encounter: The Call that Started it All. The UFO investigation was led by John F. Schuessler, an employee of McDonnell Douglas, a contractor working on the Space Shuttle project at the NASA’s Johnson Space Center in Houston, Texas. Schuessler was deputy director of the Mutual UFO Network, and also ran Project VISIT, his own elite organization of UFO hobbyists. Some of the people they interviewed for the C-L case were under the impression that NASA was investigating the sighting, due to the way the group introduced themselves. Project VISIT’s UFO Hotline cards stated they were “composed of NASA Aerospace Engineers.” Many people heard “NASA,” but ignored the part about them being a civilian and unofficial organization. See Project VISIT takes a case for further details on Schuessler’s organization. "My intentions are to hear what you had to say this morning and to try to get it into an agency of the Air Force or portion of the Air Force that could help you. I must be frank with you and tell you that I know of no such part of the Air Force that today investigates these complaints, but on your behalf, I will forward it on... we're an agency that has not investigated UFO sightings in almost eleven years. And then we were, in effect, told by the Congress and the President that we would not be doing that anymore." "The sighting occurred approximately 13 miles from (Houston Intercontinental) airport… surveillance radar from the airport would most likely have ‘seen’ the helicopters operating in the UFO sighting area… the area would be easily observed by pilots arriving or departing... pilots would have seen and reported the incident since it lasted 15 to 20 minutes, and since the 9PM time of the UFO sighting is a fairly heavy commercial airline traffic period." There were no such reports; nothing on radar, no sighting from pilots, from personnel in the air traffic control tower, or anyone else. 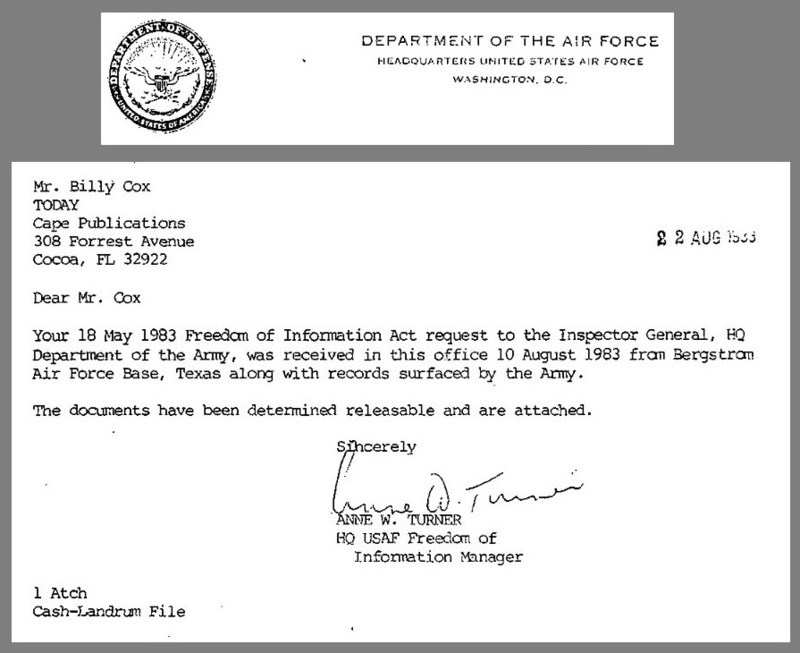 The investigation found nothing to confirm the UFO report by Cash and the Landrums, but gathered and filed the information for Air Force files, and later shared with the Army. During the trip to Bergstrom AFB, Cash and the Landrums made another stop that led to a government investigation at the state level. 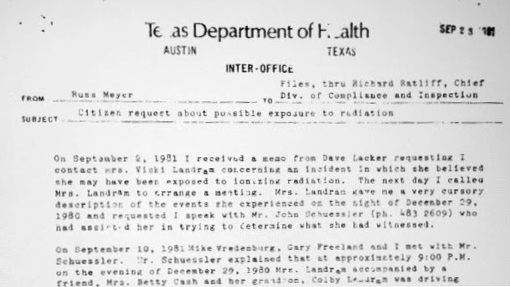 The Texas Department of Health assigned their Radiation Control Board after Vickie Landrum visited the office of Representative Larry Browder. Browder ordered an investigation of the event and incident location, and Charles Russ Meyer headed the investigation. On Sept. 16, 1981 Meyer examined the roadway, took soil samples, and the subsequent laboratory analysis showed no residual traces of radiation. They did, however, extend an offer to have TDH doctors examine the witnesses and their medical records, an offer that was not accepted. The TDH files record no further contact, but they did continue to collect some subsequent news clippings about the case. 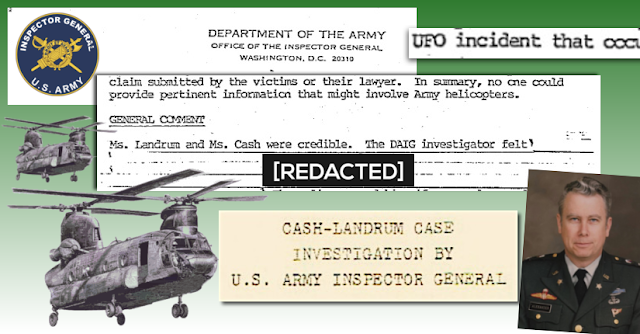 The Army’s inquiry has been previously discussed on BBL in John B. Alexander on the DAIG Investigation of the Cash-Landrum UFO Incident, but we’ll provide a brief recap. As a result of the media attention given the case (the TV episode of That’s Incredible! in particular), Representative Ron Wyden from Oregon asked for an investigation into the US government’s alleged role in the C-L incident. Virginia Lampley was given the task at the Air Force, but after determining the helicopters in question were used primarily by another branch of military service, the job was passed on to the Department of the Army Inspector General (DAIG). Lt. Col. George Sarran was given the job, and his specific mission was to determine whether Army helicopters were involved in the incident, not investigate the UFO report. However, to prepare for his investigation, Sarran contacted several ufologists, John F. Schuessler, the primary investigator, his former colleague Capt. Richard C. Niemtzow, M.D., USAF, and Dr. Peter Rank, Radiologist. "George visited all the units that had similar helicopters... even checked with the U.S. Marine Corps... Being thorough, George made connections with the helicopter fleets of the oil companies that fly crews to the offshore rigs. The bottom line is that no helicopters could be located that could have been involved that evening. George carried the investigation a step further asking for consultation from me, and two military medical doctors, U.S. Navy Captain Paul Tyler and Air Force Major Richard Niemtzow, both of whom specialized in radiation. Paul and I had worked together for several years in my interagency projects at INSCOM while Richard had prior experience with French UFO cases. Based on the physical evidence available, our conclusion was that the victims were telling the truth and had been exposed to high levels of radiation. However, this case simply defied any conventional explanation." Lt. Col. Sarran conducted a thorough investigation, and his DAIG report concluded that there was no involvement in the incident by any helicopters; not from any US military branch, government agency, or anyone else. 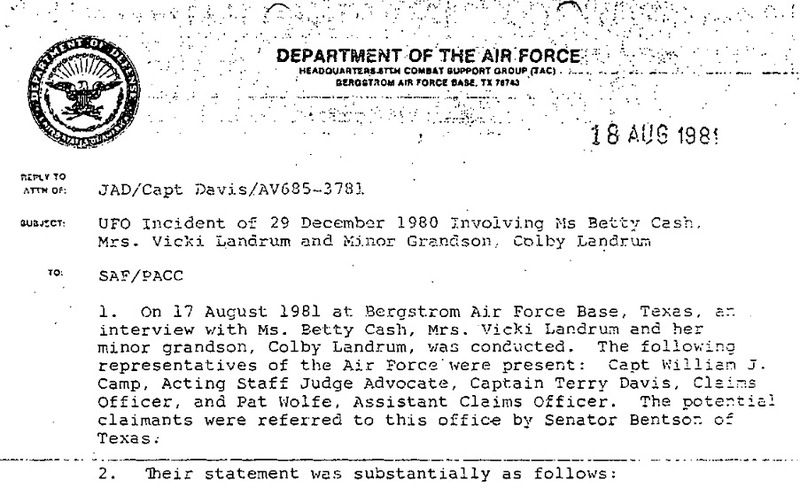 The original legal move in the Cash-Landrum case was for a damage complaint filed in Dec. 1982 against the Air Force. They were seeking $10,000,000 for Betty Cash, $5,000,000 each for Colby and Vickie Landrum. As a result, there was some kind of investigation by the US government by the Air Force in its defense, but we don’t have the records to indicate the scope of their inquiry. Col. Stewart stated, "Our investigation has revealed no evidence of involvement by any military personnel, equipment or aircraft in this alleged incident." Colonel William E. Krebbs, USAF, Chief, Tactical Aeronautical Systems Division, DSC Systems, Air Force Systems Command. Richard L. Ballard, Acting Chief, Aviation Systems Division, ODCSRDA (Office of the Deputy Chief of Staff for Research, Development and Acquisition), United States Army. Vice Admiral Robert F. Schoultz, United States Navy. Robert W. Sommer, Deputy Director Aircraft Management Office, NASA. The statements indicated that each agency had no aircraft that resembled the description of the UFO. Maybe there’s some undiscovered documentation on the investigation. Each of these agencies may have some scrap of paper in relation to the C-L case, probably a request for the statements, but little else. The legal battle ended when the court case was dismissed for the final time in 1986. We now know that members of some of the agencies denying knowledge of the Cash-Landrum event had members in a secret organization that was unofficially studying it and other UFO cases. In part two, we conclude with the Cash-Landrum investigations by the Advanced Theoretical Physics Working Group, and how it relates to other UFO organizations and to the Pentagon’s AATIP. made famous in the media for the alleged radiation injuries to witnesses Betty Cash, Vickie Landrum and her grandson Colby. Shortly after the story became public, another UFO witness from that night came forward, but his testimony has been largely ignored. Jerry McDonald of Dayton, Texas, witnessed a low-flying triangle-shaped object, but earlier the same evening and miles away. All these years later, Jerry feels his story has not been told, so he contacted BBL to share his experience and his thoughts on the UFO’s origin. Before hearing his modern perspective, let’s first examine how his story surfaced in 1981. John Schuessler, then the deputy director of the Mutual UFO Network, also ran a Houston-area group, Project VISIT (for Vehicle Internal Systems Investigative Team), which began investigating the Cash-Landrum case Feb. 21, 1981 after getting a call from Betty Cash, then by visiting the sighting location a week later with Vickie and Colby Landrum. “Metro News Service carried a plea for witnesses to come forth. Jerry heard the plea on KIKK radio.” That was Jerry McDonald, and on March 23, David Kissinger of VISIT went to Dayton to interview him. Jerry was an oil field worker, 23 years old at the time, and lived in Dayton in a house trailer with his wife Glenda and their baby girl. It was early Monday night, and Jerry was outside repairing the water line when he heard a rumbling noise. He looked up, maybe expecting to see the Goodyear blimp, but instead saw a strange triangular object flying above the 40-foot tall trees nearby. Jerry described and sketched the object as triangular, flying point first, the opposite side with white and blue lights near the corners, and two flaring lights that looked like the flame of an acetylene torch near the middle. In the center of the triangle, it had a brilliant red light. Jerry watched it for two or three minutes, estimating its size as 40 feet wide, its altitude at 130 feet, and it’s speed as 3 miles per hour. Drawing by Kissinger based on McDonalds's report. Two days later, Jerry came down with the flu. Glenda hadn’t gone outside to see it, but she got sick too, but not their daughter. Two weeks later, on Feb. 14, Jerry was hospitalized for an air pocket in his lung which was treated by medication. An interesting detail surfaced during the interview. 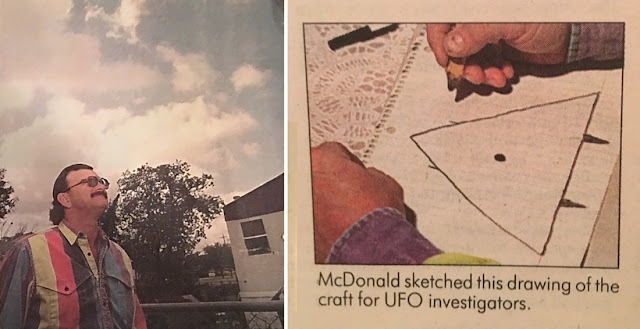 Glenda McDonald had also seen a UFO - two of them, but much later on the night of Feb. 14, and hers were a bit smaller, kite-shaped with lights at each corner. Kissinger closed his report by suggesting that they advertise on radio and TV to find other witnesses, and to notify the authorities about the public health hazard from the UFO. The problems making Jerry McDonald’s UFO with the Cash-Landrum case are numerous. He wasn’t able to pinpoint the time of his sighting, initially saying between 8 and 9 p.m., then between 7 and 8 p.m. to VISIT investigators. The Cash-Landrum sighting time is estimated at shortly after 9 p.m., so if the earlier time is correct, that’s a long while for a UFO to be prowling the Texas skies between Dayton and New Caney. Jerry reported the noise of the UFO as a rumble that got made him look up, whereas Vickie Landrum described her object producing a roar like a hurricane. The most notable feature to Jerry was the lights on the UFO, particularly the single bright red on at its center, but Betty and Vickie described the object they saw as blindingly brilliant with no discernible features. Another big difference was the shape. 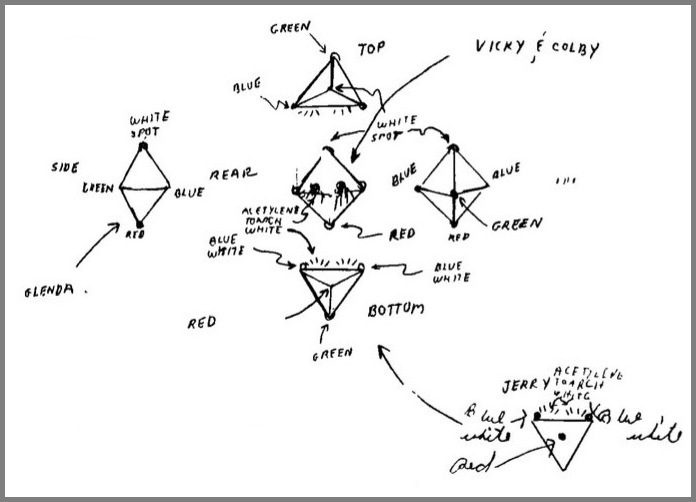 Jerry’s UFO was a triangular flat wing about 40 ft wide, the Cash-Landrum object said to be a huge diamond-shaped object, more like a football shooting flame from the bottom pointed end. It’s difficult to believe they were describing the same object, but they were both UFOs, and that’s close enough for flying saucer science. 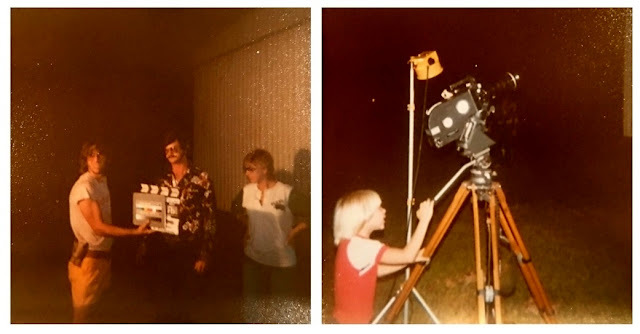 In an undated follow-up, VISIT attempted to reconcile the different characteristics in the three UFO sightings described by Vickie and Colby Landrum, Jerry, and in his wife’s Feb. sighting. The letter included several pictures, suggesting the Jerry’s triangular pyramid UFO had really been a diamond-shaped craft viewed from below. The descriptions of the various witnesses have been reviewed. One of the possible configurations that fits all descriptions is given below. Please provide discussion of why and why it does not fit the object you saw. Jerry’s sighting, along with Glenda’s and any other allegedly related UFO reports, were not given individual case files by VISIT or MUFON, just included within the Cash-Landrum material. Comparing that to a police investigation, it’s like dropping every crime in a city into a single folder and hoping for one solution for everything. Glenda’s sighting was completely dropped, but Jerry’s sometimes appeared in UFO literature, but just in an attempt to corroborate the original Cash-Landrum case. That's caused the McDonald sighting to be ignored, and missed by researchers investigating "black triangle" UFOs. The most accurate reporting of Jerry’s sighting was the earliest one published, in The Houston Chronicle, p.1A., Sept 25, 1981, “State, private agencies probing claims of UFO encounter” by Cindy Horswell. Oilfield laborer Jerry McDonald was in his back garden in Dayton when he witnessed a huge UFO flying overhead. At first he thought it was the Goodyear airship, but he quickly realized it was some unidentified object. "It was kind of diamond-shaped and had two twin torches that were shooting brilliant blue flames out the back", he said. It took The X-Files in the 1990s to get the media interested in UFOs again. “UFO Sightings” by Marty Racine was the cover story for the Houston Chronicle’s Texas Magazine, Nov. 11, 1996. 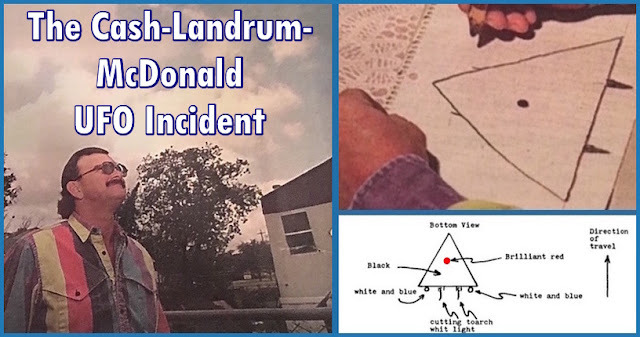 It featured coverage of the Cash-Landrum case, including an interview with Jerry McDonald about his sighting, and printed his sketch of the triangle-shaped UFO. The same evening about 15 miles away in Dayton, Jerry McDonald, an oilfield roughneck, was fixing a water main outside his trailer when a huge black triangular craft sporting a brilliant red light and belching twin flames passed 130 feet overhead. "It was there, buddy, it was there. Blew my mind, it was going so low and slow. This was no blimp. This was something out of this world. I saw something that scared the death out of me." McDonald now thinks his UFO was a Stealth Bomber, which was developed in the late '70s. ‘I think (the military) just got caught with their pants down." 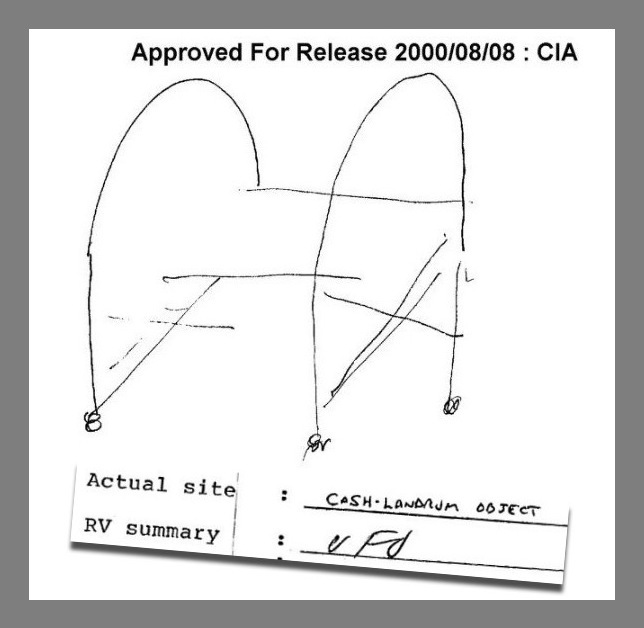 In John Schuessler’s 1998 book, The Cash-Landrum Incident, the appendix includes copies of Kissinger’s interviews of the McDonalds, and on page 78 he gives a summary of Jerry’s sighting, portraying it as a closer match the C-L UFO. Jerry McDonald was working in his yard between 7 and 9 p.m. when he saw an object as large as the Goodyear blimp overhead... It continued on over the vacant football field and out of sight to the west, in the direction of Huffman. The Cash-Landrum case was examined in UFO Hunters “Alien Fallout” episode from Jan. 14, 2009. 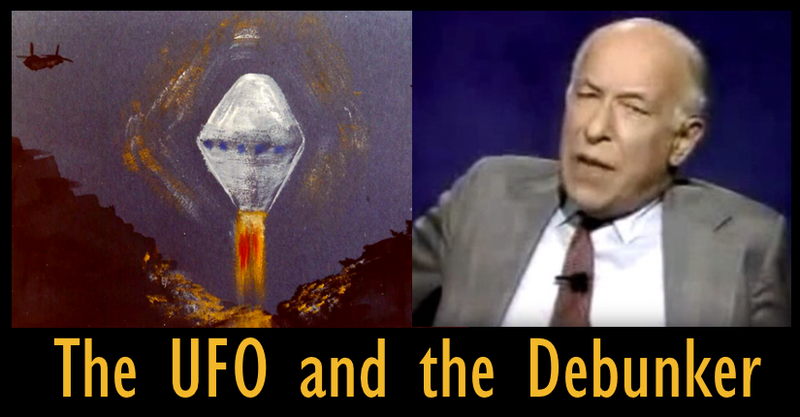 It featured a short interview with Jerry McDonald and showed him making a sketch of the object he'd seen, a clip just intended to show that someone else had seen a UFO. My name is Jerry McDonald I am the silent witness that has was not named in the lawsuit... I believe I know what I saw that night now, and I need to tell somebody. When I called Jerry, he said that he was the “silent witness” of the lawsuit, that he had been asked to be part of it but declined, otherwise it would have been known as the Cash-Landrum-McDonald case. He said at the time he was young and a bit scared - unwilling to miss work to testify - and afraid of reprisals by the government. Jerry said Dayton Dayton police detective Lamar Walker, whom he described as a good friend, was someone who the attorney had intended to call as a witness. He mentioned that Walker had seen the helicopters, but not the UFO, which was just the opposite of Jerry’s sighting. Jerry said the lawsuit was thrown out due to lack of evidence, which is accurate. Two of examples McDonald sent of UAVs resembling his UFO. The main reason McDonald wanted to reach me was to express his present day thoughts on the origin of the UFO. He has come to believe that what he witnessed was an early flight test of an unmanned aerial vehicle being test flown in Texas. He told me he had found a picture online, a Lockheed Martin UAV on the flight deck of an aircraft carrier, a triangular-shaped drone that resembled the object that he had seen in 1980. “This is a prototype of unmanned drones that you will never find - the government has covered this paperwork up because of the lawsuit. 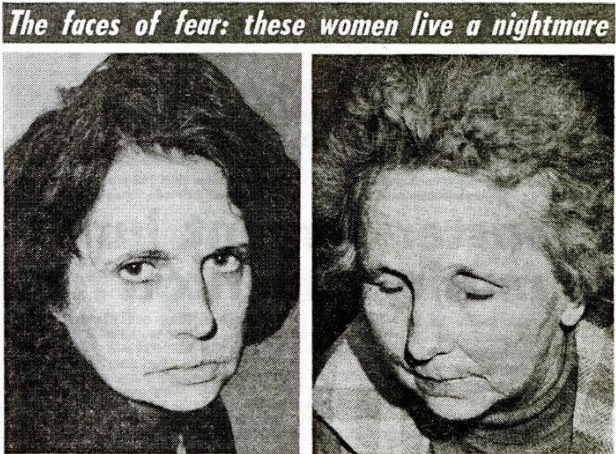 These ladies are dead of their injuries and never got compensated for it, and I know exactly what I saw I know exactly what it looked like.” He is convinced the same object he saw was the Cash-Landrum UFO, and went on to say it was “jammed full of radar” and that's what had caused the “radiation burns”in the witnesses. The NBC show, That's Incredible!, filming in Dayton, Texas, July 1981. In the left photo, Jerry McDonald, center, on the right, Colby Landrum at the camera. In returning to some of the points he had made earlier in the conversation, I asked him about knowing the witnesses. He said that he and Colby Landrum still talk, and that he had seen him recently at funerals. Colby is mad and blames the Government, his phrase was, “mad they killed his grandmother.” He mentioned that when in 1981 when ABC's That's Incredible! came to Dayton film, he’d taken pictures of the crew with Colby. McDonald was also supposed to be interviewed for the show, but he got too nervous and his part was canceled. Jerry has tried to talk to Colby about his idea that the UFO was a drone prototype, but Colby is mad about the situation the entire experience, and that he wants no part of it. McDonald feels that he's not had the opportunity to be heard, even locally, that they “will not let the story get out." Jerry thought that UFO Hunters might have been taken off the air, because "they were getting too close." He mentioned that the show had taken core samples on Farm-to-Market Road, but wasn't sure what the results of the analysis revealed (nothing but repaving over the decades). 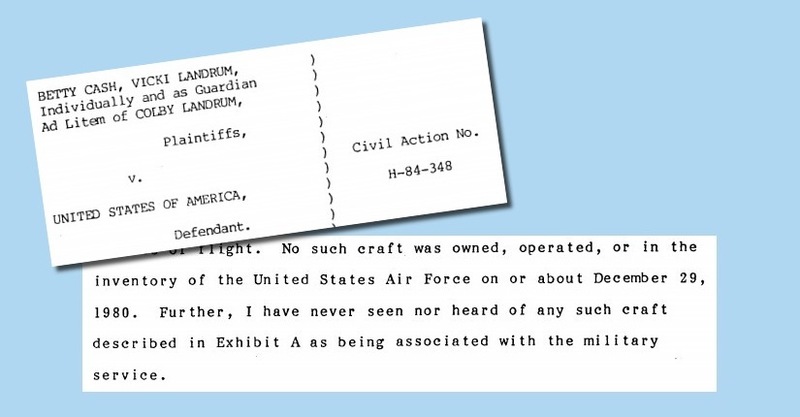 Regarding secrecy in the Cash-Landrum case, he said that the helicopters had been out there, and that it had been covered it up in the middle of the night. On December 4, 2018 Brian Dunning presented an episode of the Skeptoid Podcast, The Cash-Landrum UFO Incident, a skeptical evaluation of the case. Dunning does a fair job of examining the case, and he’s clearly done a lot of reading on the case. The printed version of his program includes a list of Dunning’s sources, which includes documents hosted at Blue Blurry Lines. Brian Dunning reaches the conclusion that the medical problems reported by the witnesses were not due to radiation poisoning from a UFO, and he suggests the witnesses were made some false or exaggerated claims. 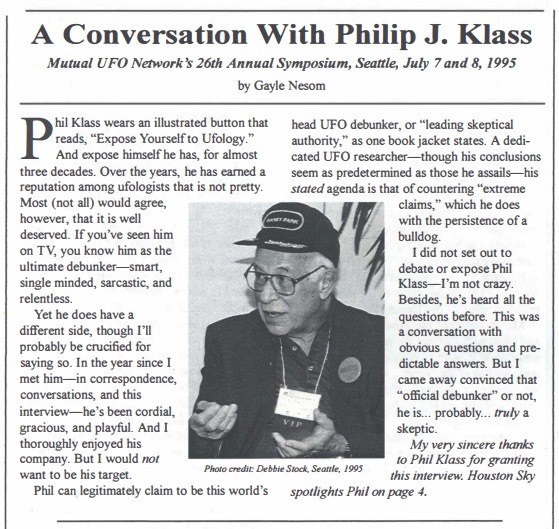 He also charges the primary UFO investigator of the case, John Schuessler, with cherrypicking data presented as evidence, saying he included “the bits of reports that supported his thesis... and ignored the bits of reports that did not...” Dunning’s argument is worthy of an examination, and a response. Betty Cash and Vickie Landrum said they didn’t immediately connect their illness with the UFO, and were afraid of being called crazy, so they didn’t report their sighting. 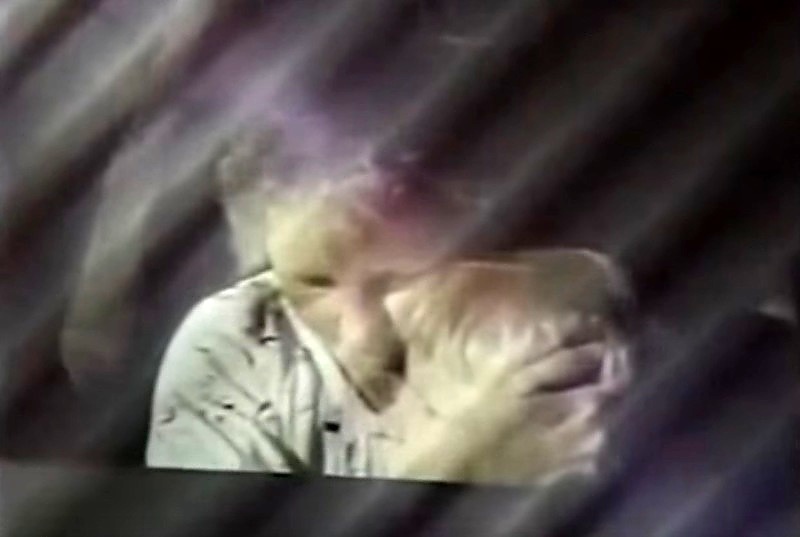 At the end of January 1981, once the UFO story had been revealed to Betty’s doctors, Vickie Landrum reported the story to her neighbor, Dayton Police Chief Tommy Waring. It took Waring two or three days to locate the number for the the National UFO Reporting Center (NUFORC) in Seattle, Washington. Vickie reported the sighting on Feb. 2 to Robert Gribble, who passed the information on to UFO organizations, but problems arose, and it was several weeks before an investigation began. John Schuessler, then the deputy director of the Mutual UFO Network, also ran a Houston-area group, Project VISIT (for Vehicle Internal Systems Investigative Team). Schuessler began investigating the Cash-Landrum case on Feb. 21, 1981 after getting a call from Betty Cash, then by visiting the sighting location a week later with Vickie and Colby Landrum. 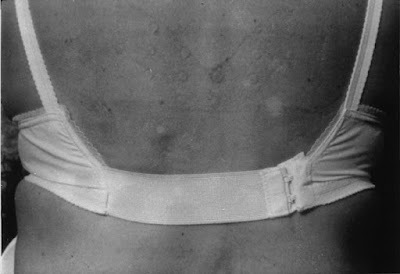 Photograph of Betty Cash's back, showing cellulitis. Dunning next discusses the alleged radiation injuries, and talks about how Dr. Gary Posner had seen the C-L case presented on the 1981 episode of NBC’s That's Incredible! where “Betty's arms [showed] discrete, round, sunburn-type rashes...” Dunning says Schuessler never mentioned these particular injuries in his book, but that’s not unique. 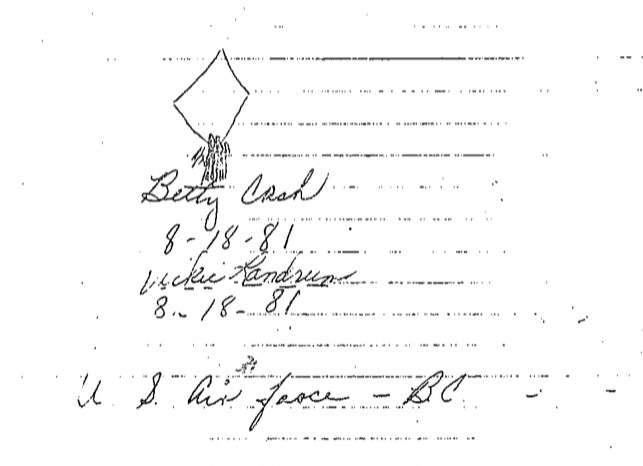 Betty Cash’s alleged radiation burn to her finger beneath her wedding ring was not mentioned by Schuessler in the book, and not in the hospital reports reproduced there or anywhere else. Dunning’s right though, about the hospital diagnosis. While Betty’s combination of symptoms did seem to puzzle her cardiologist and the Parkway Hospital doctors, the diagnosis was of earthly ailments. See the BBL report, Betty Cash’s Medical Records for further details. Dunning also mentions Vickie Landrum’s complaints, and notes that her hair and fingernail loss were not documented with photographs. That’s true. 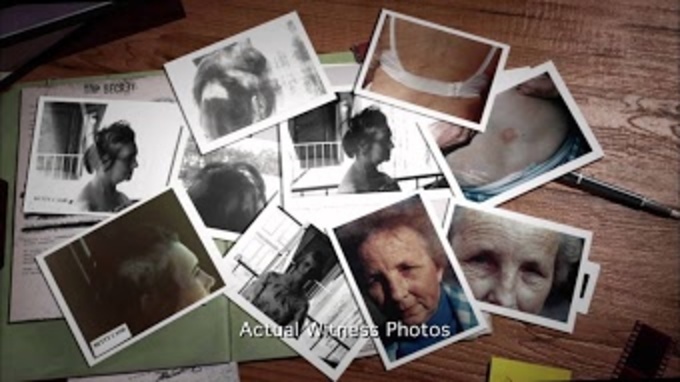 There are drawings of Vickie’s fingernails, but no photos, and the pictures of her closest to the incident do not reflect significant hair loss. I think it is important to assure Betty that on the basis of the medical information you have provided me, that there are no signs of serious injury to date. You may also reassure Vicki that her cataract was probably a pre-existing condition and not necessarily related to her incident. Dunning’s use of the quote by Dr. Rank is damning, but it cuts both ways. Yes, Dr. Rank was a radiologist, and Schuessler’s primary source supporting radiation burns in the case. However, Dr. Rank only examined Betty Cash’s medical records and looked at photos of the witnesses, he never conducted a physical examination of Betty Cash, or of Vickie and Colby Landrum. Dunning discusses Betty Cash telling the Air Force that the helicopters she had seen carried military markings, while in earlier interviews she said she had seen none. When interviewed as Bergstrom AFB on August 17, 1981, Betty was asked to draw a picture of the UFO, and write out the markings she claimed to see on the helicopters. She printed the words, "United States Air Force." Interestingly, the Bergstrom interview is downplayed by Schuessler, and only mentioned in a negative way, that the witnesses were treated unkindly and mocked. The transcript of the interview does not reflect that, and instead has value as direct testimony from all three of the witnesses away from UFO investigators. Dunning does not try to tackle the issue of the UFO itself (or the associated helicopters), and I can’t fault him too much for that. In fact, he was a bit too soft. Despite the claims that the sighting occurred in a remote area, it was by no means unpopulated. There was at least one trailer home nearby, and there were other homes down the road in both directions. After the initial sighting, the witnesses drove by a fishing camp, a church, then thorough Huffman, and claimed to be able to see the UFO and helicopters from several points along the way. With the sights and sounds they claimed, it’s difficult to understand how many more people were not alarmed. In his conclusion, Dunning seems sympathetic to the witnesses, and allows that they may have indeed seen something that night, but does to believe it to have been extraordinary, just another of many sincere, but mistaken reports of UFOs. It’s his opinion that they wrongly connected their health problems with the experience, and sincerely believing they were wronged, exaggerated their story. And he includes the possibility they went further, such as faking sunburn from the UFO. It could be. Having a UFO terrifying experience could have been so stressful that it worsened existing health problems in the witnesses. If we want to examine a hoax scenario, a more plausible scenario might be that Betty Cash was genuinely ill and that Vickie Landrum faked her injuries in order to support her friend and try to get her help, including financial support. Betty Cash was a cardiac patient, she’d had surgery a few years before and was taking several medical prescriptions to manage her health. She’d recently been divorced, and as she told the officers in the Bergstrom interview, her business had failed and was closed. Before the UFO, Betty Cash was going through a very rough patch. The documents presented here at Blue Blurry Lines are intended to strip away the mythology of the Cash-Landrum case and allow for an unbiased examination of the events. We may never know exactly what happened, but we can at least get closer to the truth.